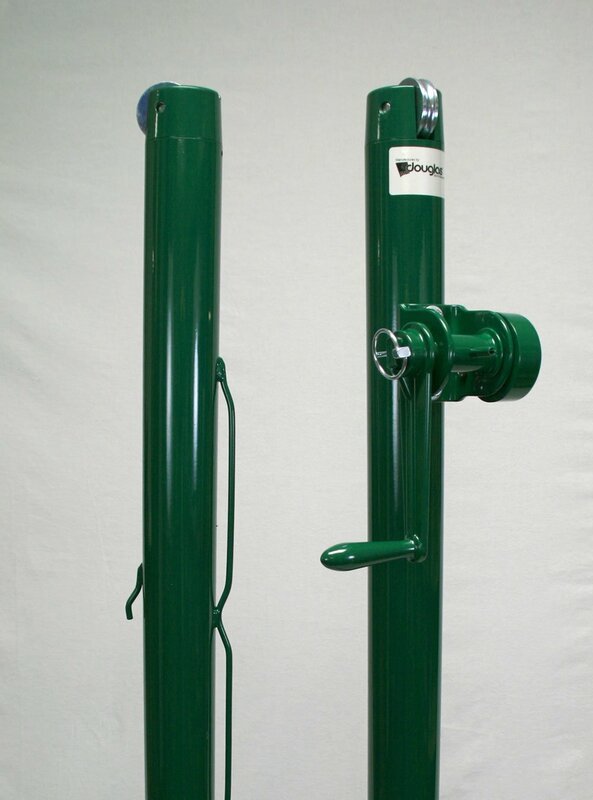 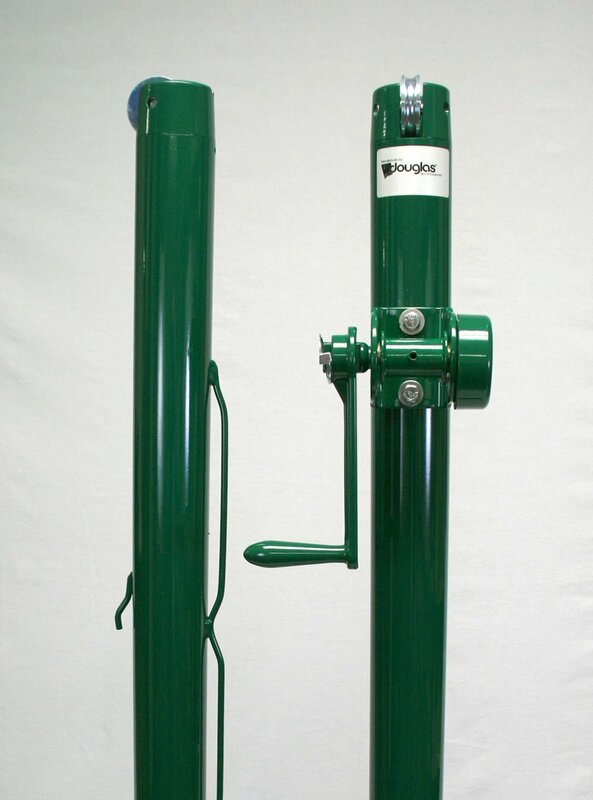 These recreational workhorse posts are designed for tough wear making them ideal for parks or school tennis courts. 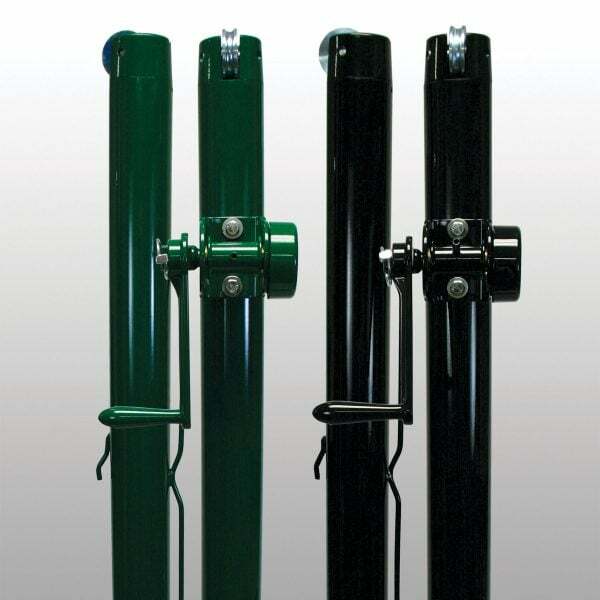 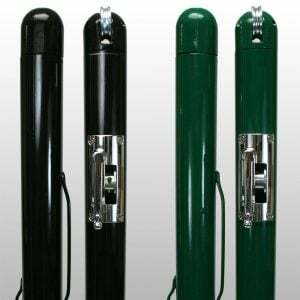 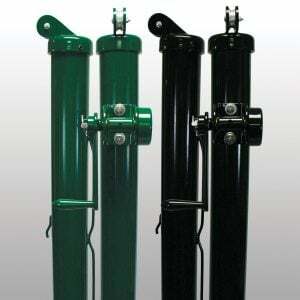 Classic external wind posts are constructed of 8 gauge steel in 2-7/8” OD. 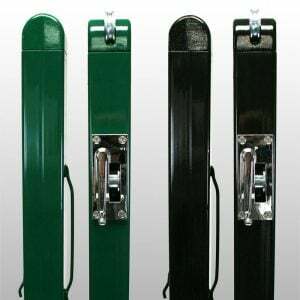 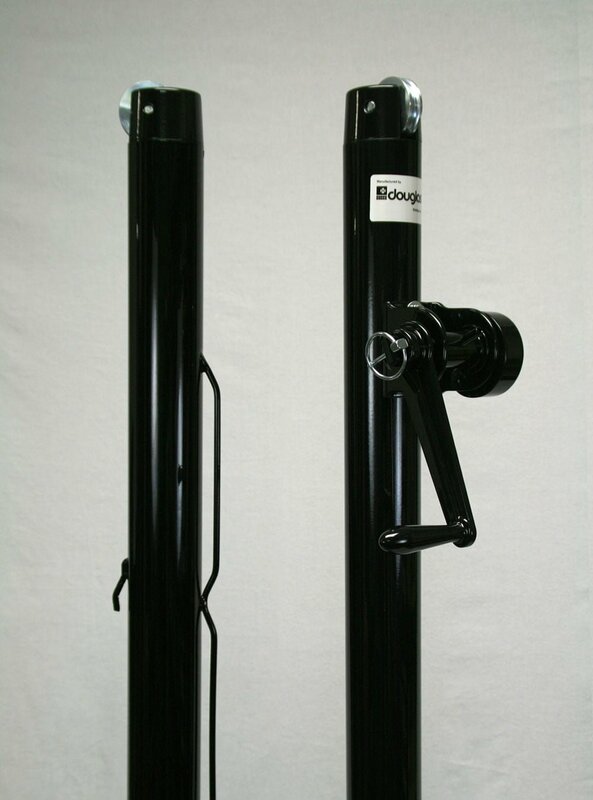 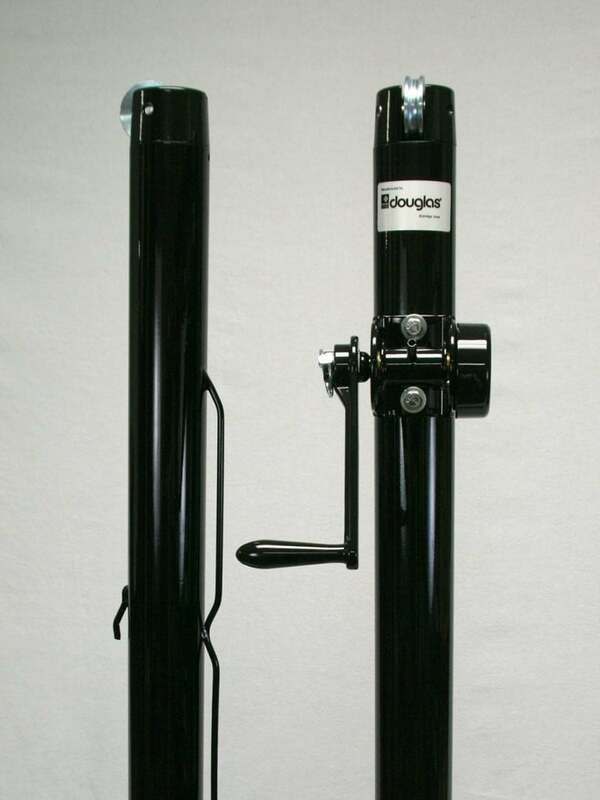 The posts, external gears and handle are finished in black polyester powder coat finish to resist rust and increase durability. 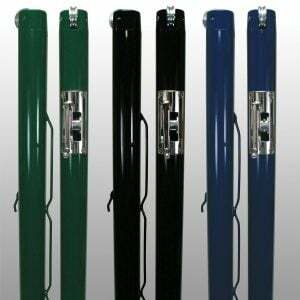 Integrated welded steel lacing rods are included for a professional net installation. 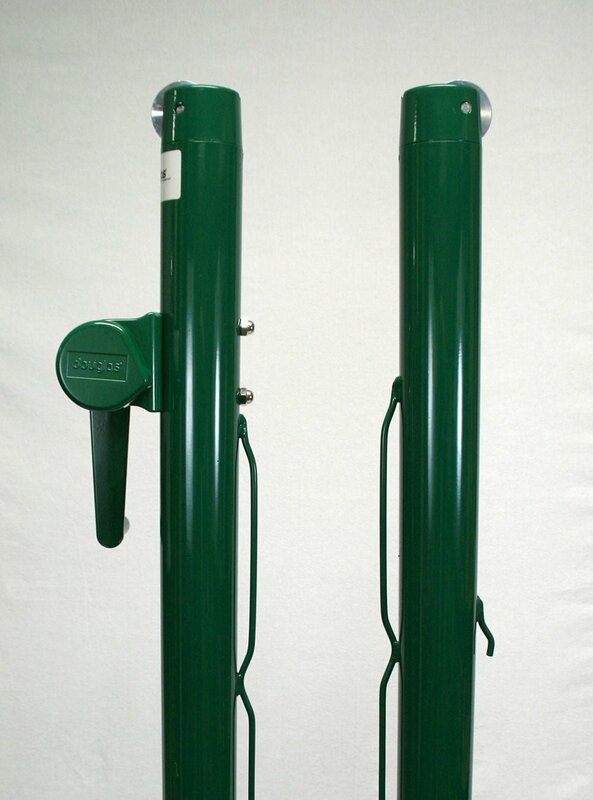 The aluminum deluxe reel offers a smooth adjusting operation with a side mounted removable handle. 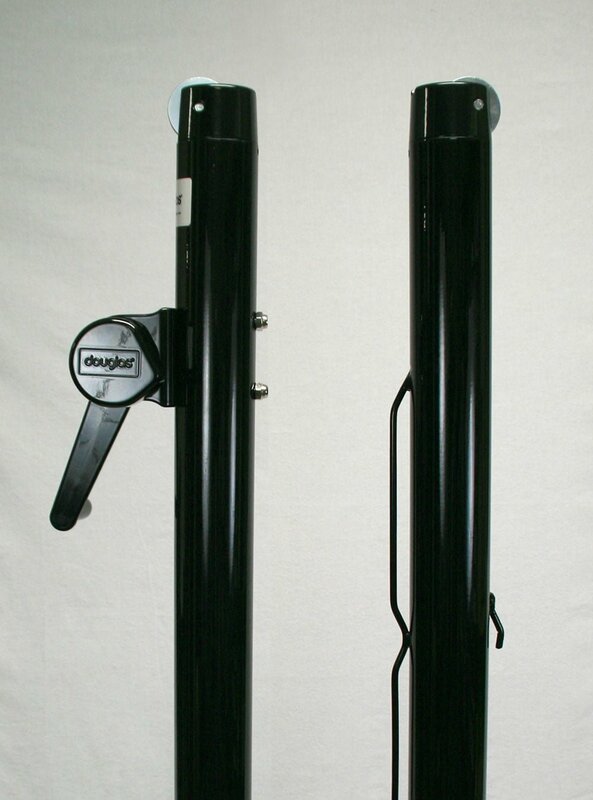 Please contact me with more information about: "Sidewinder Deluxe Tennis Posts, 2-7/8" OD".